Unless you’re cooking a lot of curry, odds are you’ll have some leftover coconut milk when you open the can. The key to storing coconut milk after opening, like most foods, is to store it properly by refrigerating the coconut milk. 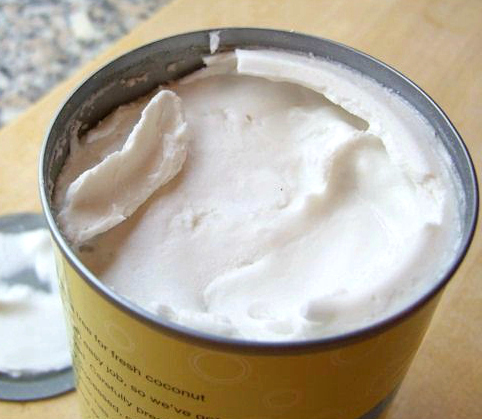 Most coconut milk comes in a metal can, but after you open the can, you should not store the coconut milk in the can it was bought in. When you refrigerate the coconut milk, ensure you store it in glass jar, plastic container and sealing it with a lid. But how long is coconut milk good for after its been opened? When storing in the refrigerator, “opened” coconut milk is best used within 7-10 days. I’ve seen blogs say three days and others have used refrigerated coconut way past the 10 day mark (like 2.5 weeks). Really, the time period depends on the quality of the coconut milk and how fresh you want the coconut milk to be in whatever you’re using it for. When you store coconut milk properly in the freezer (in an airtight container), the coconut milk will freeze at 0°F. If it remains in a frozen state, it will be safe indefinitely even after the can has been opened. As with chicken, spam or any other type of food, put the coconut milk through the eye and smell test as you would regular milk. Does it pass? If the coconut milk doesn’t look right or smell right, then it’s better safe than sorry. Toss it. How long will Spam last after opening the can? Can you still eat meat that is freezer burned? Is it safe? How long does frozen milk last for? Does it go bad?